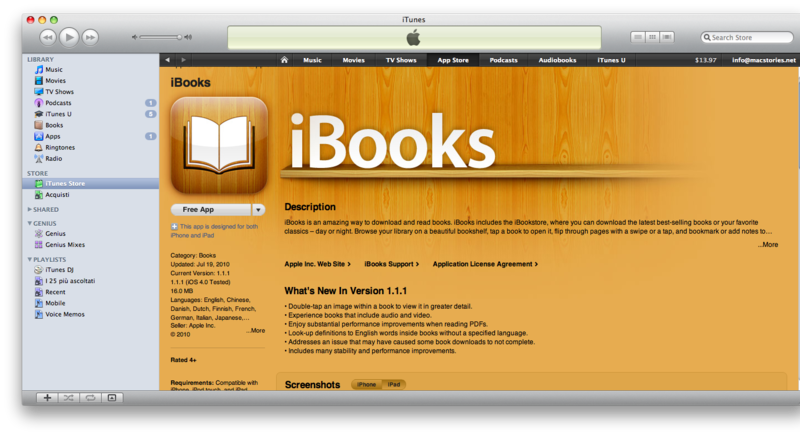 Together with iTunes, Apple has just release an update for iBooks, which reaches version 1.1.1. 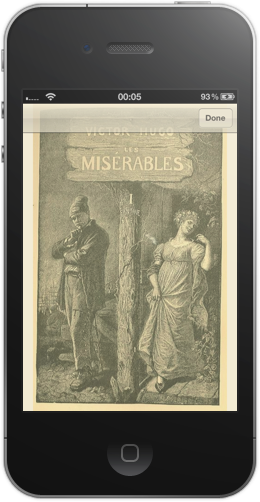 The update includes support for books with audio and video, improvements for PDF documents, bug fixes. I've found the app in my iTunes update, this is the link. It seems like it's still propagating through Apple's servers though. Update: We're hearing of many users unable to download the app. It seems like it's slowly propagating in iTunes servers, so check for updates frequently. 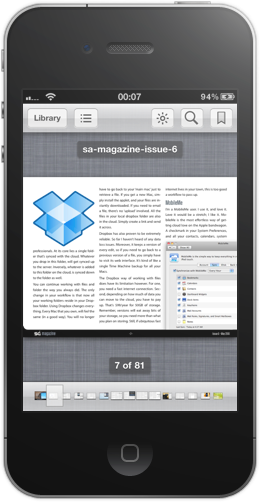 Swiping through PDFs seems indeed faster than before. I've copied some 20MB files (like the Smoking Apples Magazine) and the app opens them in a few seconds less. I can also tell that other improvements make the app feels snappier and, overall, just better. As for audio and video content, I have no books to test the feature. If you have suggestions and links to share, leave a comment below.